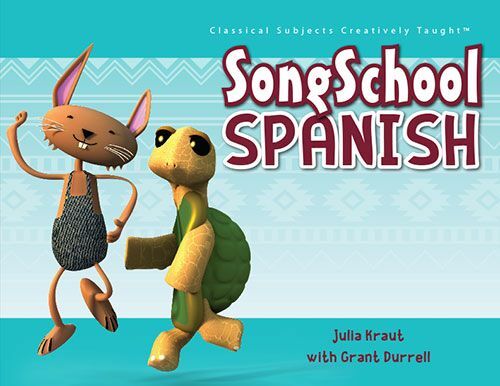 Classical Academic Press has given us a wonderful Spanish program to review called Song School Spanish. It was designed for students in grades K-3. It was designed to help students learn language through song, reading, writing, and speaking. Each lesson teaches a few words and has a song or chant to go along with those words. The songs are mostly in English with the new words in Spanish added in, making it easy to learn those words. I have always loved learning and teaching through song, so this curriculum really appeals to me and to my kids. Plus, we have been using Song School Latin all year already. Since Spanish is our other language of choice, it was really fun to add it into our school routine. 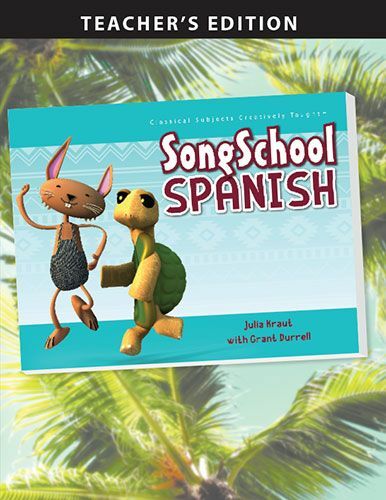 The Song School Spanish Student book comes with a CD that has 42 songs included. 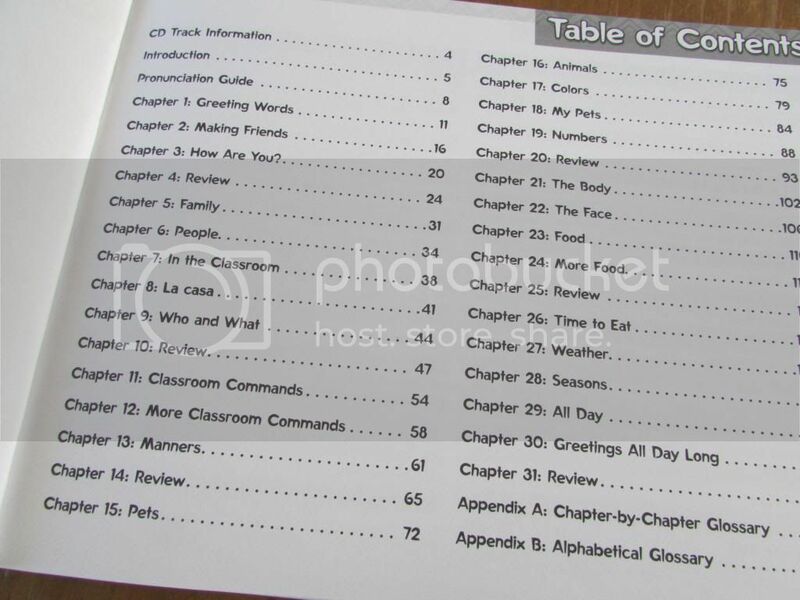 The book has 30 lessons that include lots of fun activities, stories and games as well as chapter reviews. The lessons have fun pictures and words for the students to trace or write giving the kids handwriting practice, too. At the back there are cut-outs of cute pictures to accompany the lesson activities. It teaches more that 100 everyday vocabulary words as well as a very gentle introduction to grammar. The student workbook is just $24.95. 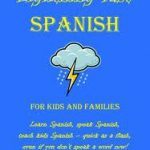 It is a nice introduction to Spanish for young children, giving them a foundation to continue learning more. There is also a Teacher’s Manual to go along with the curriculum. This is sold separately- also priced at $24.95. It has answers to the student workbook, a recommended teaching schedule, as well as many activities to go along with and enhance the lessons. 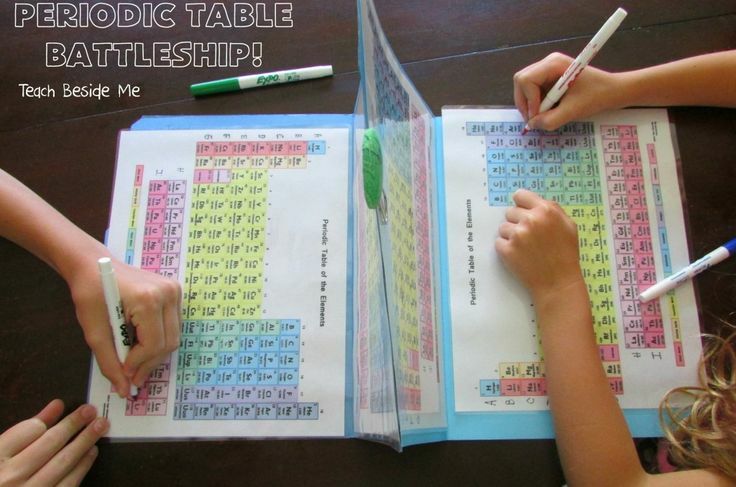 In the back of the book there are tons of worksheets you can use with your kids to give them more practice with the lessons for those that are a little more advanced. They recommend that you use the program 3-4 times each week to really learn and retain the information. Along with that, you can listen to the songs regularly throughout your day- in the car or around the house. We did it three times each week. We read through the new lesson together, listen to the songs a couple of times on the first day. 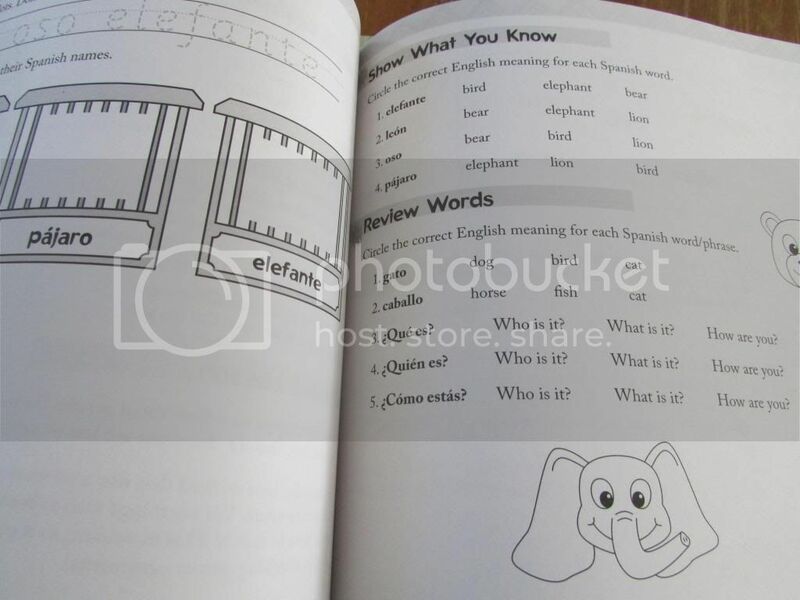 The next day, we come back and review the words a few more times each week, as well as listen to the songs and do some of the activities in the workbook. Then the third day we do the review section and listen to the music (over and over again)! By the third day the kids know those words really well and are ready (and excited) to learn the next chapter. Typically we end up singing the songs all around the house. They are fun, catchy tunes! 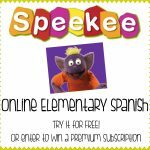 I purchased the Spanish Amigo Match flashcards to use with our curriculum. There are 210 flashcards of the words learned in Song School Spanish. These sell for $26.95. We use them to play games to practice our vocabulary. On their site they have several free resources that you can download: there are audio files to help with pronunciation, sample songs, extra songs, or you can view samples of the book online, too. We have struggled to find a good language curriculum to teach my children. I love the idea of my children learning foreign language from an early age, so I am happy to have found this curriculum. 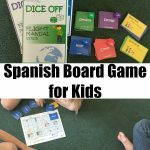 It teaches the language in such a fun and engaging way. My kids are always happy to practice their Spanish songs. I think learning through song is so much fun and really helps things to stick. I have been quite impressed with the quality of this curriculum! If you are looking for a good way to teach your elementary-aged kids a foreign language, I highly recommend looking into this curriculum. They do have more advanced levels of Spanish, Latin, and even Greek. So, if this is a little young for your kids, check out the other levels. We have learned a lot from Song School Spanish!